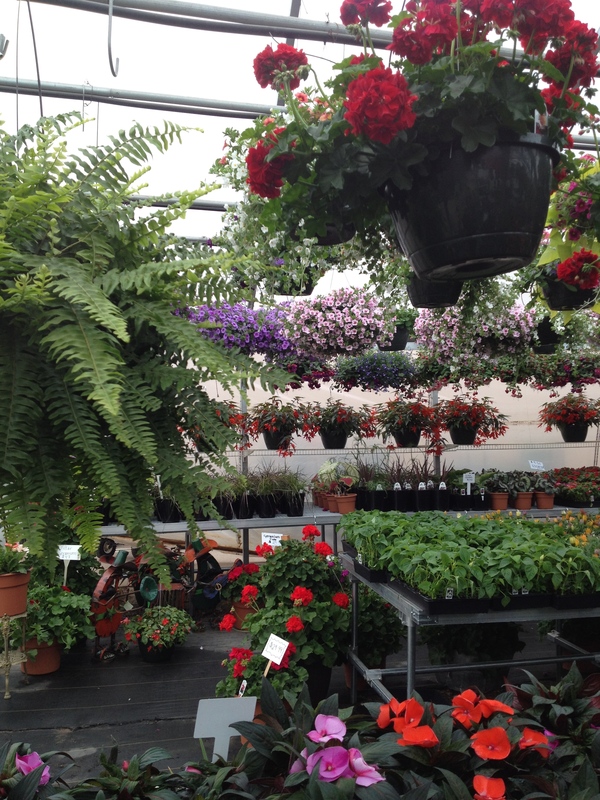 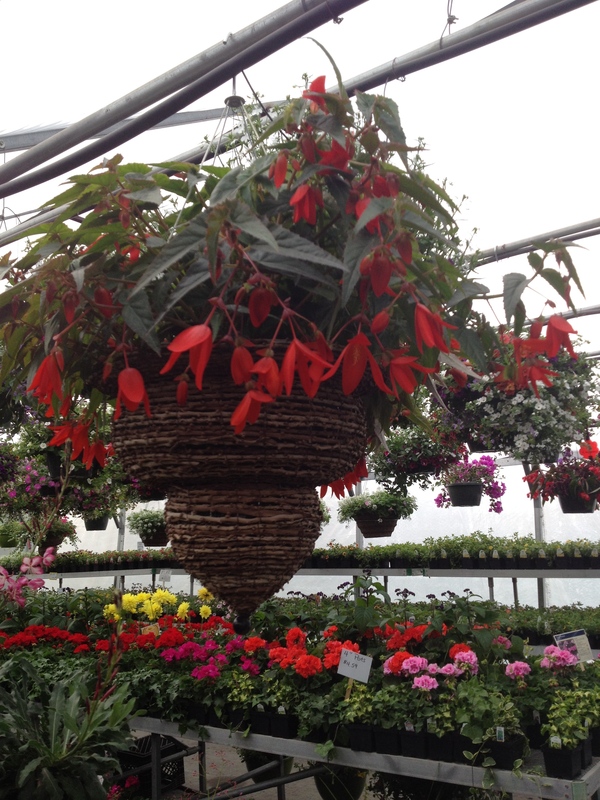 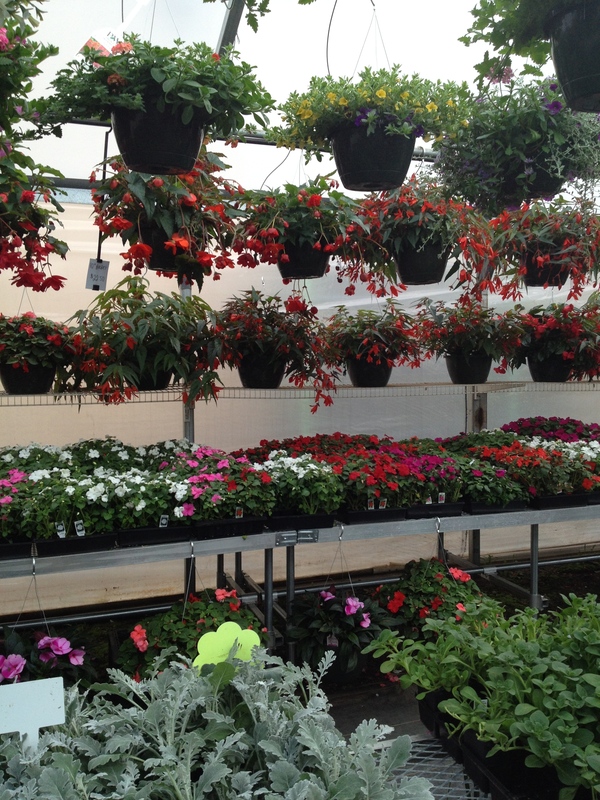 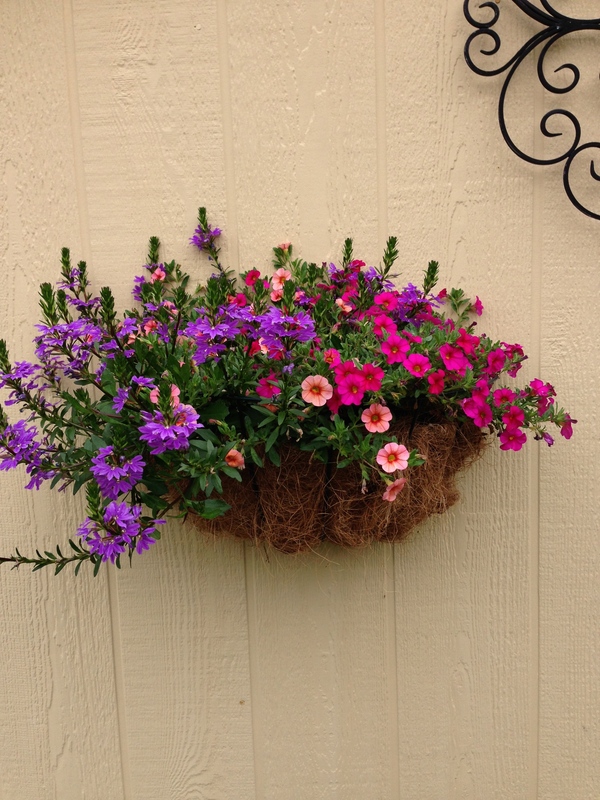 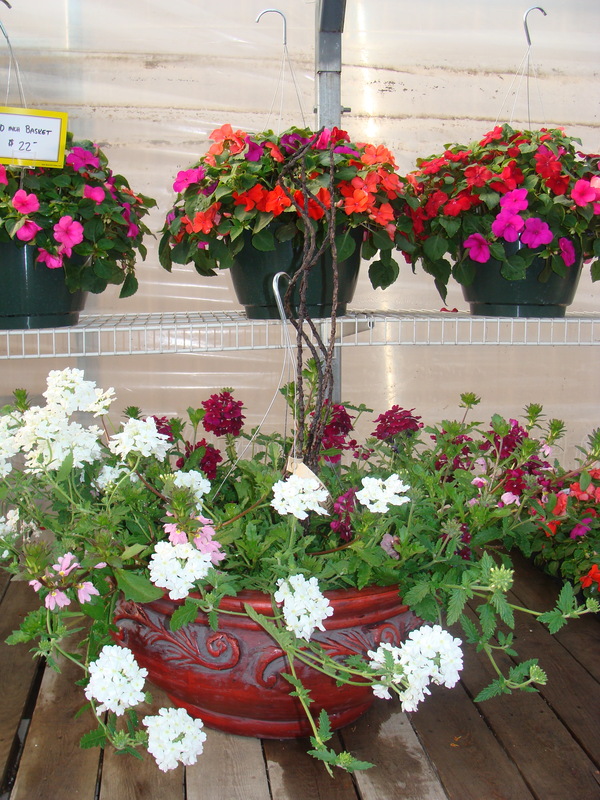 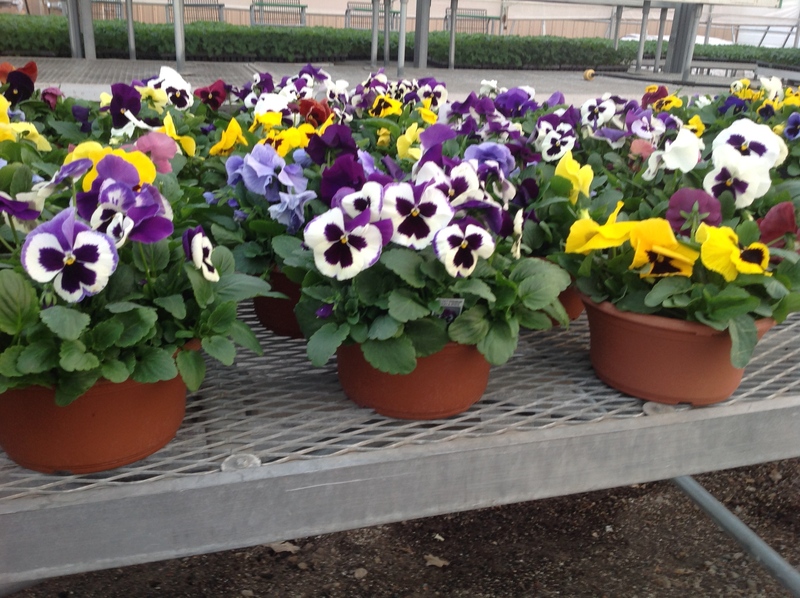 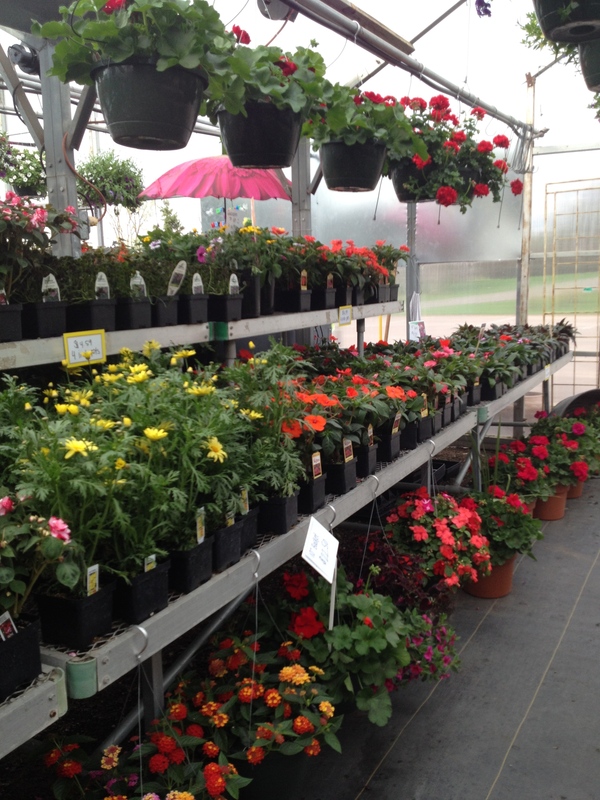 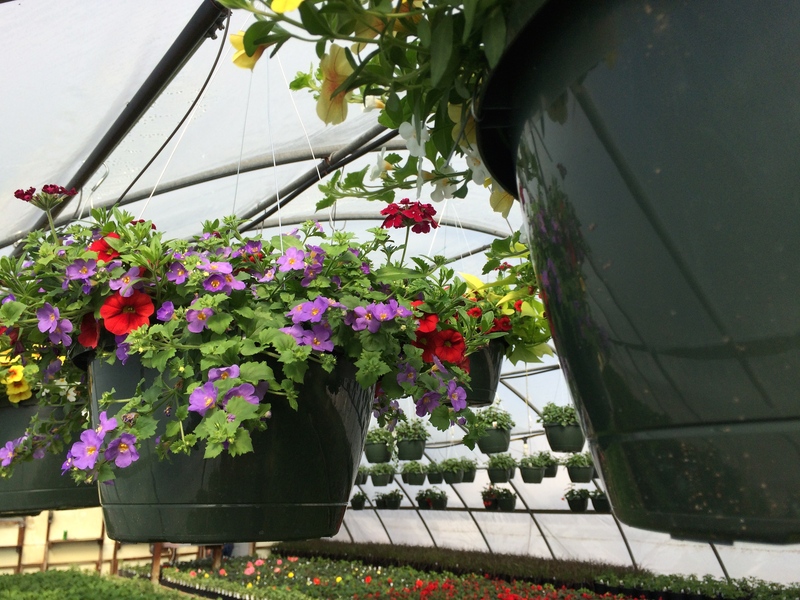 Costa Produce Farm and Greenhouse specializes in Mixed Combination and Premium Hanging Baskets. 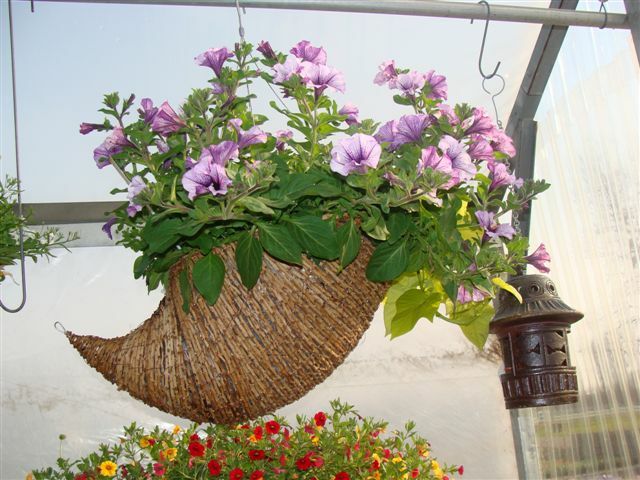 This year we are also carrying fibercore and natural palm in addition to the common plastic baskets. 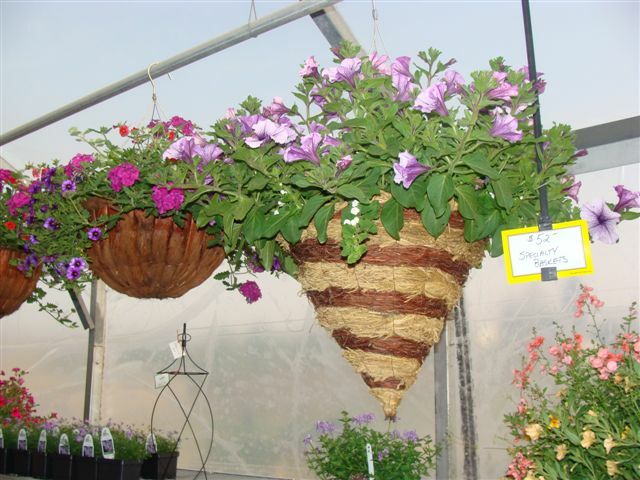 We also plant lovely bee-hive shaped baskets as well. 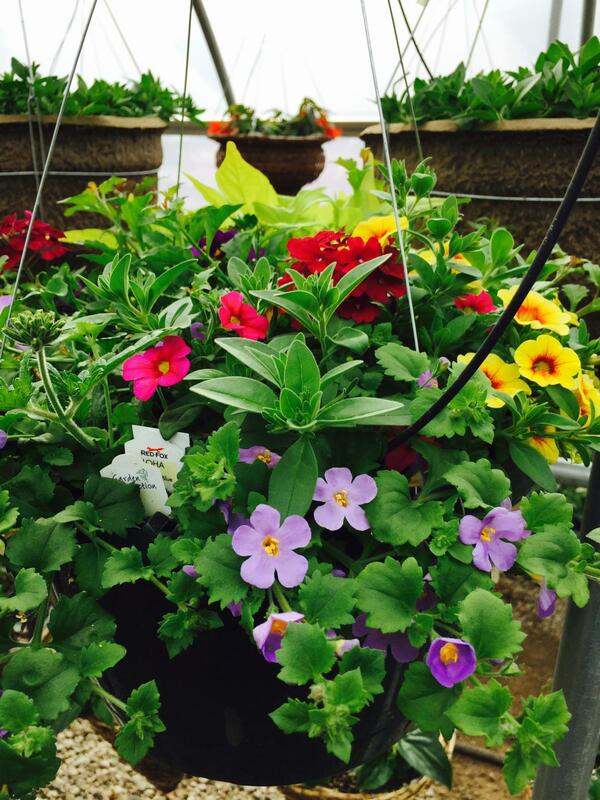 We take pride in our big, colorful, combination baskets. 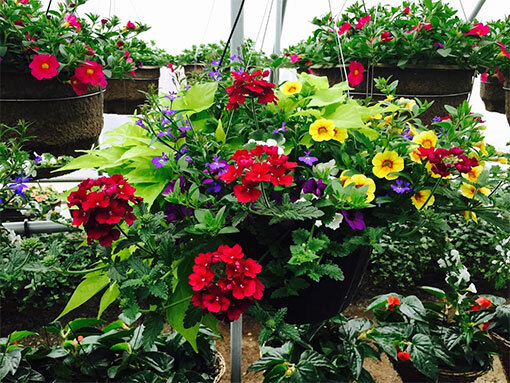 We take time to select plants that grow well together, colors that compliment, and then take care of our baskets in a way that sets us apart from other growers. 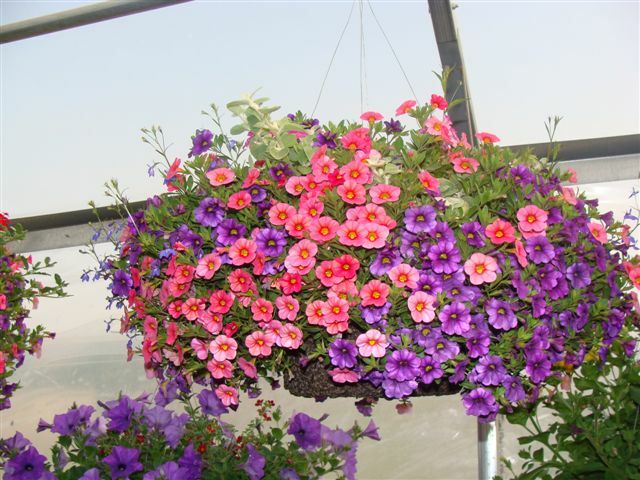 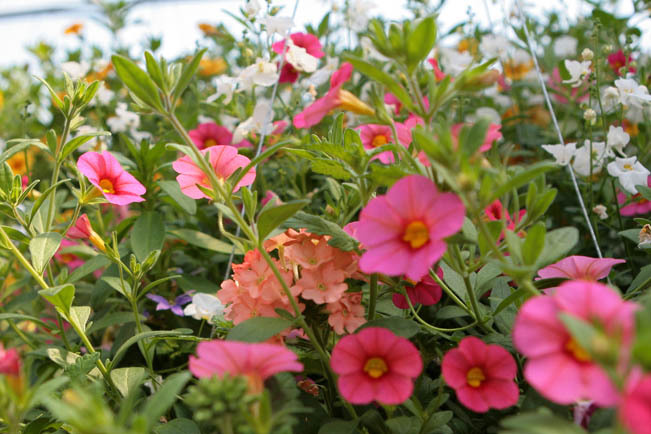 We hand water them, hand prune them to make them fuller as they grow, fertilize the baskets at just the right time, and keep an eye out for pests that can compromise a greenhouse. 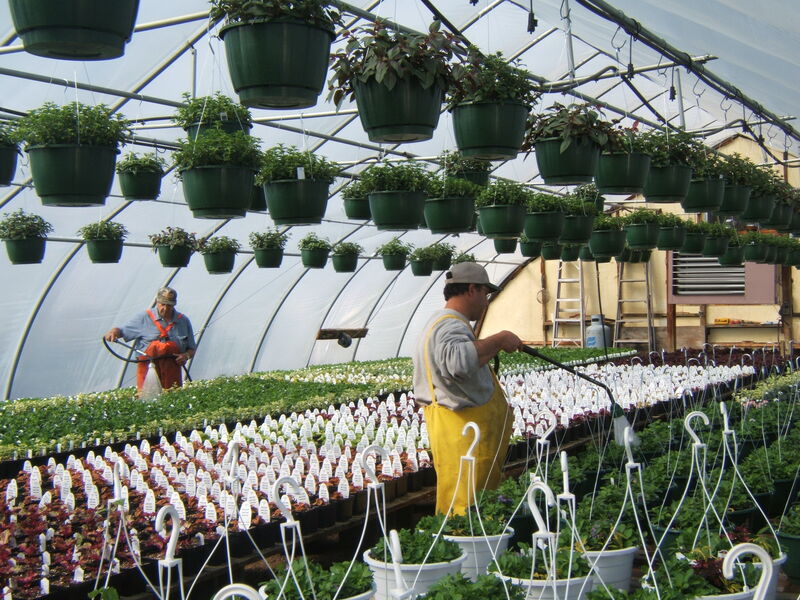 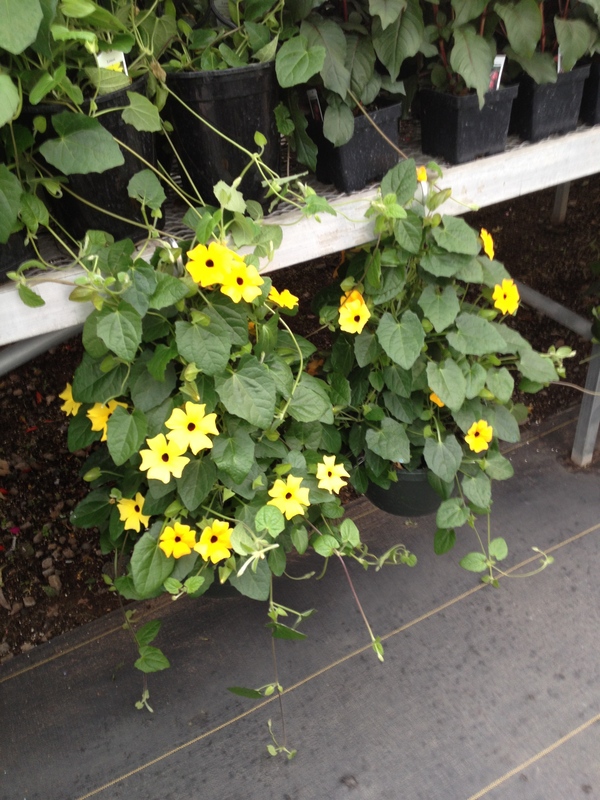 This passion and attention to detail sets us apart from the mass produced plantings you see at the big box stores.